BlackOut™ bedrooms allow you to enjoy a longer, much more restful, and overall better quality sleep outdoors. The WeatherTec™ system, featuring weather-resistant fabrics, leak-free flysheet seams, protected seams, robust zipper guard, and waterproof coating, lets the tent stand its ground against any weather. Some find the pump's power underwhelming. Coleman Valdes 4 is easily one of the best inflatable tents on the market right now. Though spacious enough, it really isn't about the model's capacity but its ability to accommodate virtually any individual regardless of the weather conditions or their needs, preferences, and experience. 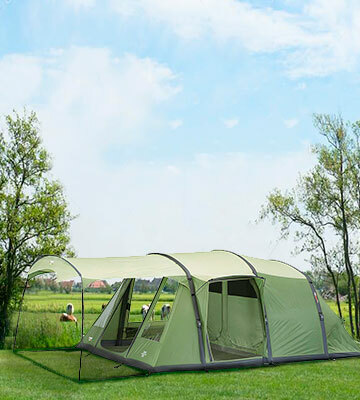 The Airzone technology, incorporating toggled room dividers and lights-out inners, makes it possible for you to regulate heat and prevent sunlight from entering the tent. The AirBeam structure allows pole-free (pole-less) pitching. There are front and side entry points. The tent is relatively heavy. 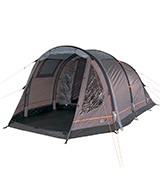 Vango Odyssey Air 600 SC is one of the very few tents today perfectly capable of keeping 6 individuals comfortable enough. The tent is divided into 3 areas: living area, inner bedroom, and sun canopy, so you won't be getting in each other's hairs. Plus, the sun canopy provides extra outdoor space. 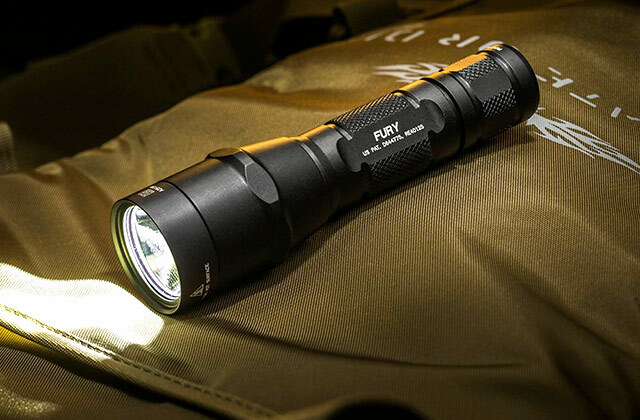 The waterproof, durable, and reliable 150D fabric will keep your family nice and dry. Furthermore, fitted with a fully sewn-in groundsheet, this tent keeps the interior environment bug- and draught-free. Secondary mesh doors on all flysheet doors provide additional ventilation, all whilst keeping the annoying insects outside. The zippers are a tad shoddy. 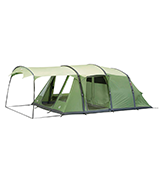 Vango Odyssey Airbeam 600 Deluxe is a robust, sturdy tent that will not fall victim to downpours or strong winds. Though it isn't the largest tent, with its smart, inventive compartmentalization and well-thought-out design, the model is able to fit 6 people at a time, keeping these people reasonably comfortable. There is a separate bedroom, living area, as well as a nice large porch. You can roll up the windows to enjoy a large panoramic view or roll them down to have some privacy outdoors. 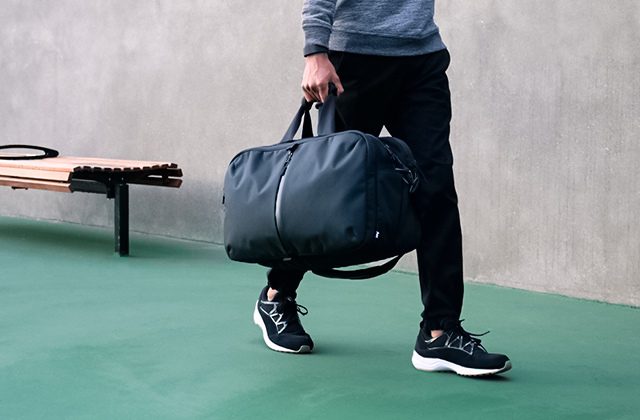 The large carry case solves both the storage and transportation issues. The peak height of 180 centimetres makes it a bad fit for taller people. Outdoor PT-TN-ALFA4 definitely deserves a spot on our list. 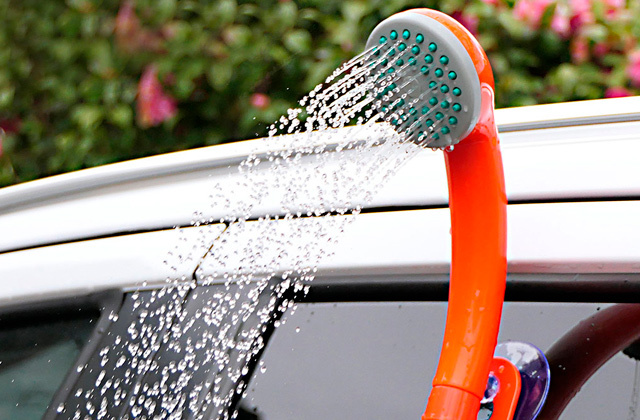 You can always throw this thing in the boot of your car and bring it with you on a camping trip. 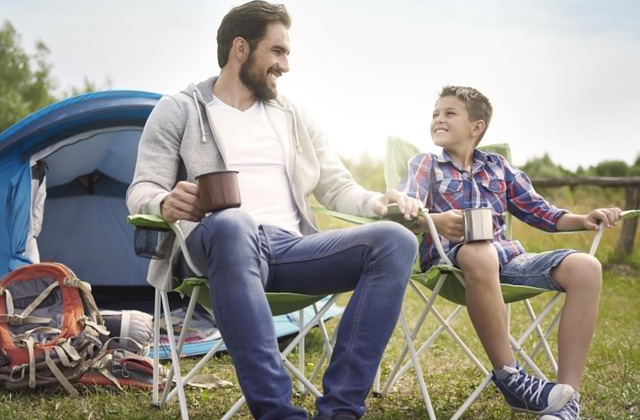 Everything here has been designed to maximise your enjoyment from the overall camping experience, from internal storage pockets to the fully sewn-in groundsheet. The Protex 70 denier waterproof fire-retardant flysheet, with its fully taped seams, excels at heat retention, keeping you not just dry but also nice and warm. There are multiple lantern hanging points, making sure you're able to keep the interior fully illuminated. 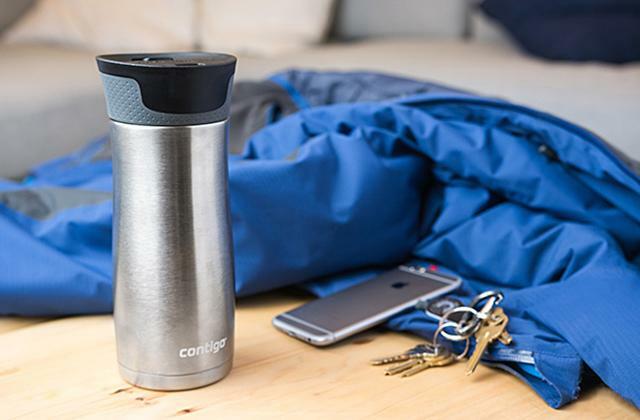 The model incorporates multiple storage pockets. The inner divider is really thin and will unlikely last very long. 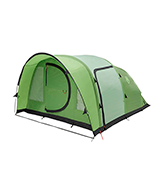 The Vango Odyssey Epsom Green 500 inflatable tent is great for camping enthusiasts on a budget. Though it is devoid of certain high-end features, the people behind this model made sure to implement every necessary technology to make sure you get that home-from-home feel that the company's products are known for. According to the people behind it, the biggest driving philosophy with Coleman Valdes 4 was the idea to maximise head height and living space. It seems like an obvious thing to do but very few tents actually manage it as well as this model. That being said, we wouldn't say that the interior real estate is the best thing about this product. No, its capacity is considerable, there's definitely that. But the BlackOut™ bedrooms are the bigger "heroes" here. Advertised as a revolutionary new sleep system for campers, a layout like that is surprisingly ingenious. Blocking up to 99% of sunlight, it allows you to enjoy a longer, much more restful, and overall better quality sleep outdoors. Aside from the BlackOut™ bedrooms, the biggest standout feature is the WeatherTec™ system. With this system, there's a number of small and large things and details that make this blow-up tent practically invulnerable against different weather conditions. Armed with weather-resistant fabrics, leak-free flysheet seams, protected seams, robust zipper guard, as well as waterproof coating, the model doesn't leave harsh weather a single change. Without even mentioning other features like the FastPitch™ technology and the extra large bedrooms, we can say that Coleman Valdes 4 is easily one of the best inflatable tents on the market right now. Though spacious enough, it really isn't about the model's capacity but its ability to perfectly accommodate more or less any individual regardless of the weather conditions or their needs, preferences, and experience. Plus, the sun canopy provides extra outdoor spaces. 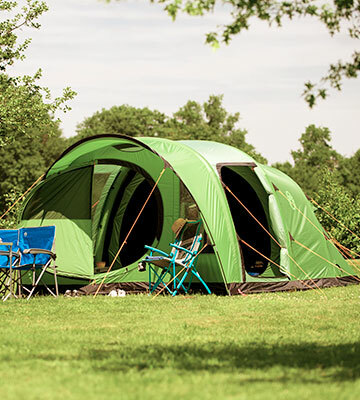 With Vango Odyssey Air 600 SC, you'll be able to bring as many people with you on your camping trip as you like. Equipped with full mesh doors as well as front and side entry points, the model will be able to easily accommodate 6 individuals at a time. It adds up to 585 x 388 x 200 centimetres in overall dimensions (including the sun canopy that comes with the package), so there is plenty of space to go around. Sure, it weighs a little more than your average inflatable tent too but that's to be expected considering the increased overall size. 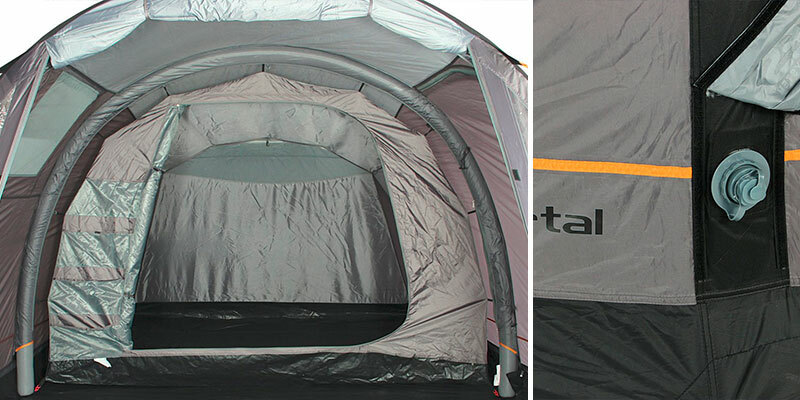 There's a lot about this tent that's worth talking about. 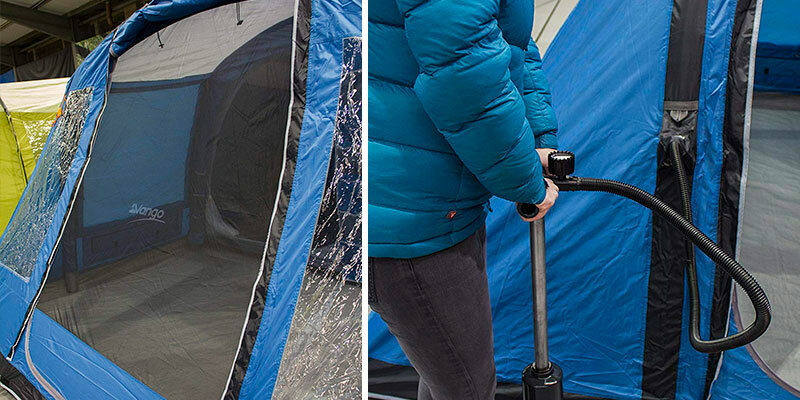 For one, the AirSpeed™ valve system, along with the usual AirBeam™ technology, makes it incredibly easy to put the tent together and set the whole thing up. The large Diamond Clear windows allow you to view the outside world in all of its glory without actually leaving the cosy tent. But probably more important than the rest of them is the Airzone technology. 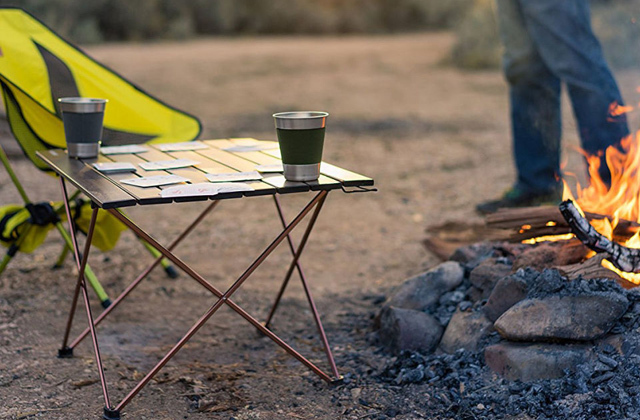 Incorporating toggled room dividers, as well as lights-out inners, you'll be able to regulate heat and prevent sunlight from entering the tent. 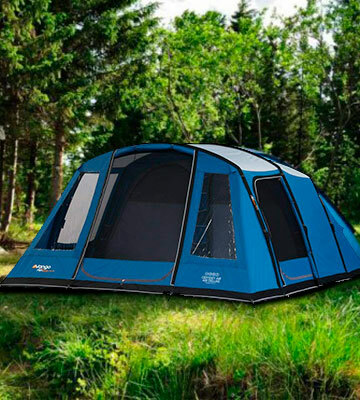 This way, the tent makes it possible for you to enjoy a good night rest outdoors. Bottom line, Vango Odyssey Air 600 SC won't waste your time. It is, without a doubt, one of the best air tents in terms of accommodating as many people as possible, making these people as comfortable as possible. The tent is divided into 3 areas: living area, inner bedroom, and sun canopy, so you won't be getting in each other's hairs. Plus, the sun canopy provides extra outdoor space. 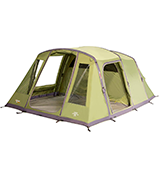 Vango Odyssey Airbeam 600 Deluxe is another great, sizable, spacious tent from the company known for, well, great, sizable, and spacious tents. Though it isn't that huge, measuring 464 x 381 x 203 centimetres, the model is perfectly capable of accommodating up to 6 individuals. 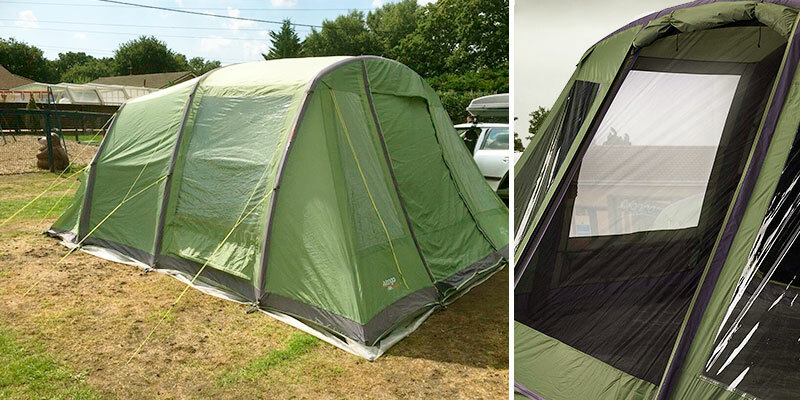 Sure, we wouldn't necessarily recommend it to 6 people barely acquainted with each other but it does make a great tent for a family of six. First and foremost, the model will keep the people inside well-protected against the nastiest weather conditions. The waterproof, durable, and reliable 150D fabric will keep your family nice and dry. Furthermore, fitted with a fully sewn-in groundsheet, this tent keeps the interior environment bug- and draught-free. Speaking of bugs and a nice, dry environment, the model also incorporates secondary mesh doors on all flysheet doors. This way, it is able to provide additional ventilation, all whilst keeping the pesky insects outside. Other than that, its the small things that do, however, add up to make a substantial difference, like super zips on the aforementioned flysheet doors, a zipped inner bedroom divider, as well as zipped curtains and storage pelmets. 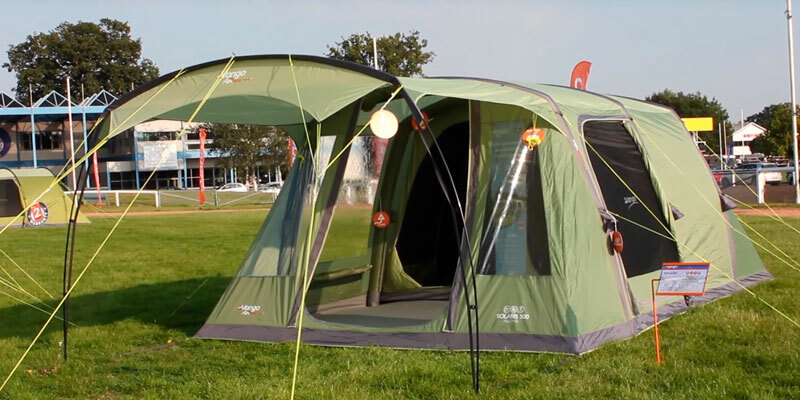 Long story short, Vango Odyssey Airbeam 600 Deluxe is a robust, sturdy tent that will not fall victim to downpours or strong winds. Though it isn't the largest tent out there, with its smart, inventive compartmentalization and well-thought-out design, the model is able to fit 6 people at a time, keeping these people reasonably comfortable. We like Portal Outdoor PT-TN-ALFA4 because it doesn't try to cram as many people as possible without putting too much thought towards their comfort. See, this is not a small tent (you can find the specifications in the spreadsheet above). Nevertheless, it's been designed for no more than 4 people to make sure there's always ample room for its occupants. There is a separate bedroom, living area, as well as a nice large porch. One thing that we really like is the roll-up internal window blinds. 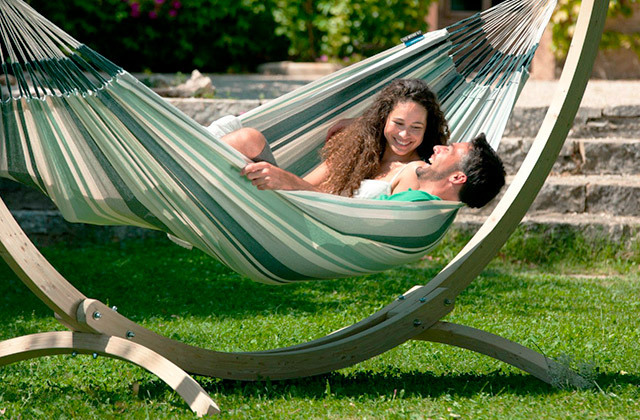 Roll them up and you're able to enjoy a large panoramic view, roll them down and you can have some privacy outdoors. 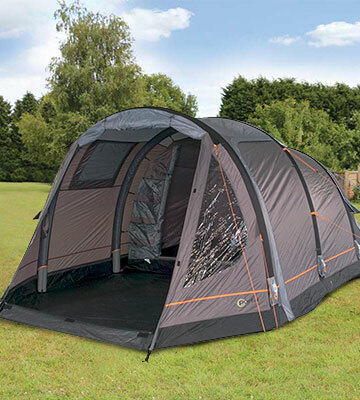 Naturally, everything you require to set up this relatively large inflatable tent comes with the package. You get a large carry case that solves the storage and transportation issues. 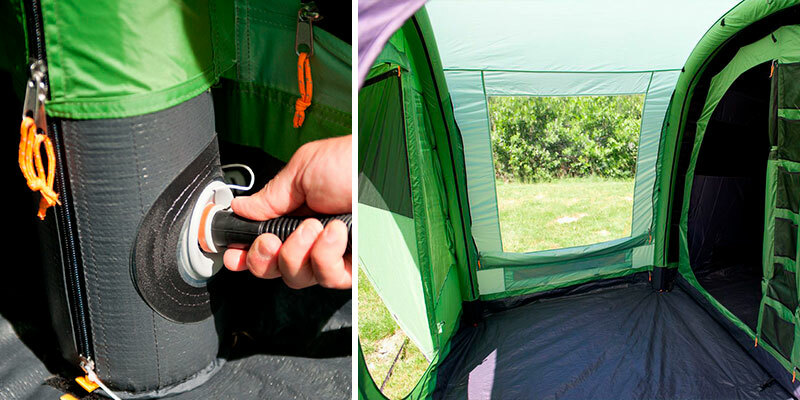 The powerful air pump, along with the air-erect system and ground pegs, will allow you to set the tent up in no time at all, putting in minimal effort. About the only thing we don't like here is the height of the model. Measuring 180 centimetres, it simply doesn't allow taller people to freely walk inside without crouching a little, a small but definitely not negligible downside that forced us to deduct a few points. Apart from that, Outdoor PT-TN-ALFA4 definitely deserves a spot on our list. You can always throw this thing in the boot of your car and bring it with you on a camping trip. Everything here has been designed to maximise your enjoyment, from internal storage pockets to the fully sewn-in groundsheet. 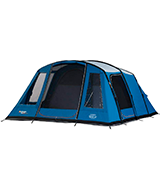 Vango Odyssey Epsom Green 500 is the least expensive product on this list. However, this is Vango we're talking about, so it's not like you'll end up with a subpar product that's sacrificed everything important to minimise the price. Sure, compared to its more expensive peers in the Odyssey line, the model isn't without its flaws. For example, the inner divider is relatively thin and will unlikely last very long. You won't find BlackOut™ bedrooms here or a sun canopy giving you extra outdoor space. 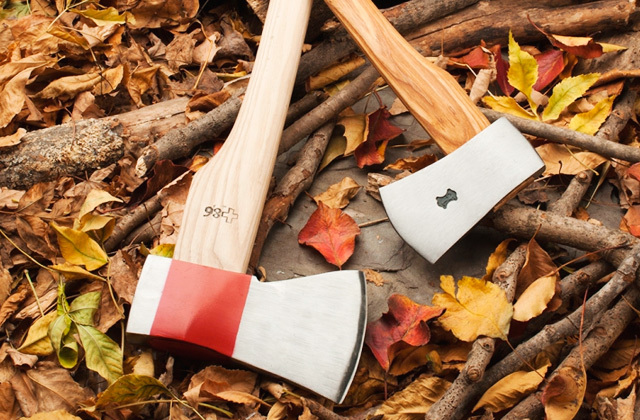 But you can definitely enjoy a quality camping experience without these things. However, you'd hardly be able to do that without the model's Protex 70 denier waterproof fire-retardant flysheet. Featuring fully taped seams, this fabric excels at heat retention, keeping you not just dry but also warm and comfortable. There are multiple lantern hanging points, making sure you're able to keep the interior fully illuminated. The company's very own TBS II tension band system gives you excellent stability, with a frame capable of withstanding windy conditions. In addition to the usual front entry, there's also a side entry. Finally, the model incorporates multiple storage pockets, making it perfectly possible to keep your belongings separated the way you see fit. 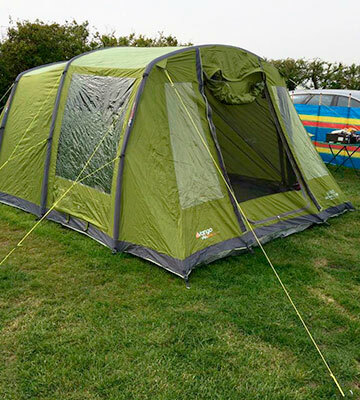 To sum it all up, we would recommend the Vango Odyssey Epsom Green 500 inflatable tent to camping enthusiasts on a budget. Though it is devoid of certain high-end features, the people behind this model made sure to implement every necessary technology to make sure you get that home-from-home feel that the company's products are known for. Regular camping tents take too much time to install. Plus, if you are an inexperienced hiker, it can be rather tricky to set them up. Inflatable tents are designed to fix these issues. They take no more than a few seconds to install and do not require any particular skills whatsoever. Lightweight and easy to use, they can come in different flavors. Depending on your needs, you can choose between various tent sizes. 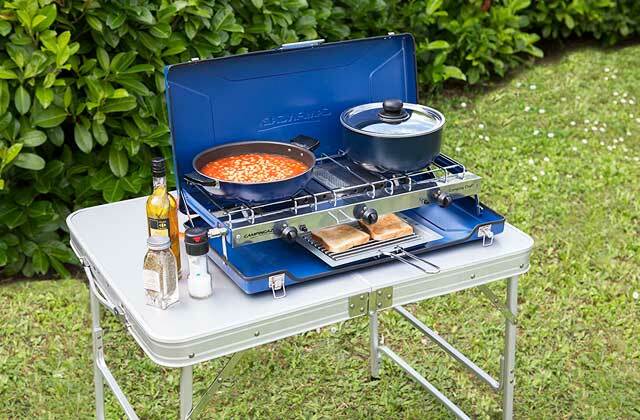 If you are planning a camping holiday with your family or friends, you should look for models that are designed for 2 or more individuals. Otherwise, a smaller model made for one person will be your best pick. 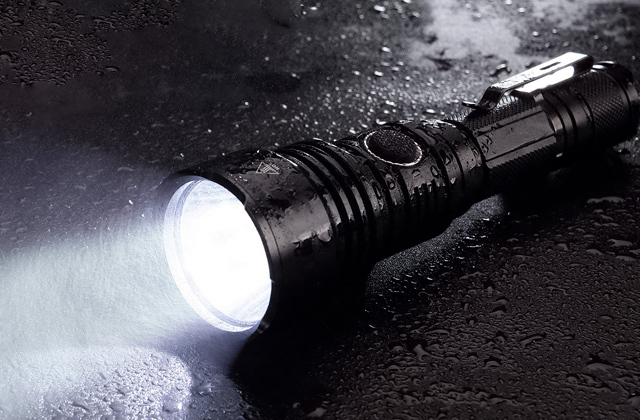 Other aspects such as the ultraviolet protection rating and waterproof properties are also important since they will protect you from harsh weather conditions. 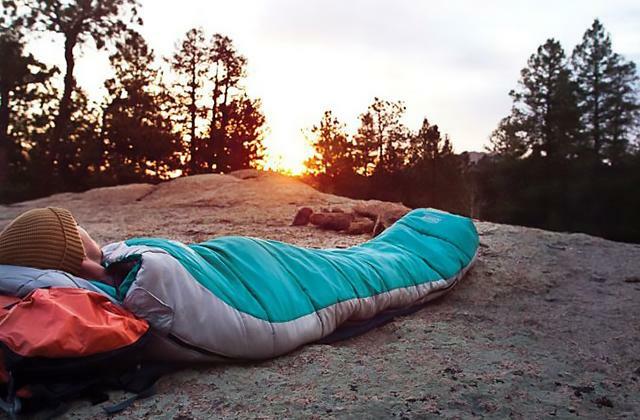 That said, if you are interested in more sophisticated camping equipment, you could also check out our reviews of camping stoves and sleeping bags that will smoothen and improve your overall hiking experience.